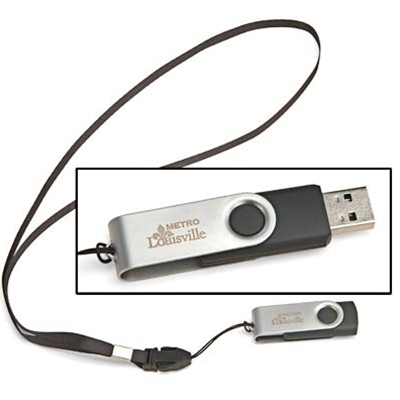 This compact flash drive with the Louisville Metro logo folds neatly into a protective stainless steel cover. When folded shut, it’s shorter than most keys — which makes it a welcome and unobtrusive addition to a key ring. A useful tool for any computer user! Includes keychain, lanyard, and 2-piece gift box.